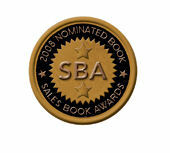 Use a book to build your business. Writing a book immediately makes you an expert because books deliver instant credibility. Having an MBA or Ph.D. is great - but putting the word "author" in front of your name sets you apart in a way nothing else can. A lot of people would like to write a book, but only a few actually do. Independent publishing gives you the flexibility that self publishing a book can’t. Once you have published your book, you have a platform to grow your business; every person who buys or receives your book is a potential customer. Your book opens up new revenue opportunities like additional information products, services, and speaking opportunities which bring in new leads…and the cycle continues. There are three essential elements to making a book work for you. Get your free book evaluation – complete this short questionnaire and we’ll provide feedback on your book idea. Super Star Press is a division of Happy About.